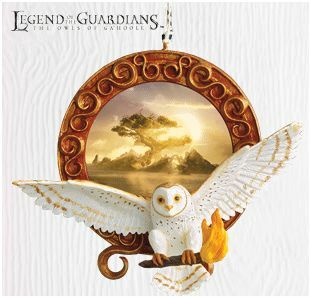 The ornament features Soren, the barn owl from the 2010 movie Legend of the Guardians. This is a beautiful ornament! The detail is stunning with bright vibrant colors and it is just the right size to hang on the tree. A great gift for any owl collector.